Home Local News BREAKING: Supreme Court allows election recount for Bongbong Marcos! BREAKING: Supreme Court allows election recount for Bongbong Marcos! 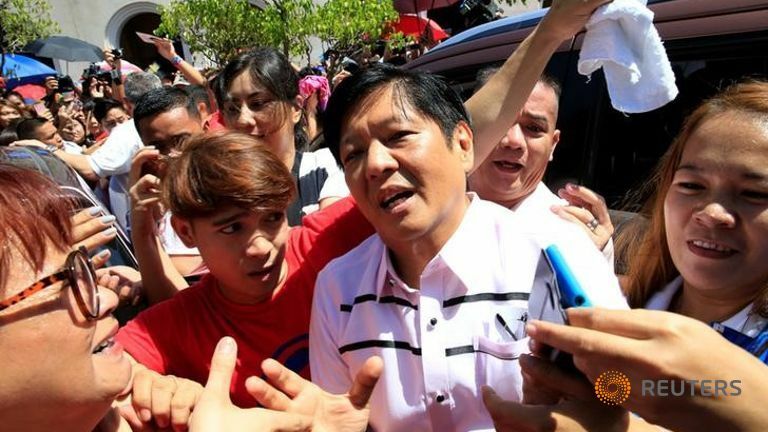 MANILA- The Philippine Supreme Court will allow a protest into the disputed election of the country's vice president, giving the son of the late dictator Ferdinand Marcos a chance to prove his claim that he was robbed of the number two post. Social activist Leni Robredo was elected vice president in May 2016, winning by about 260,000 votes over Marcos' son and namesake. Popularly known as Bongbong, he said he was the rightful winner and votes were stolen from him. Marcos had asked the court to order a recount of more than a million votes in the south and nullification of balloting in three provinces. Robredo in turn asked the court to reject his petition. On Thursday, Marcos released the court's Jan. 24 ruling which found his petition "sufficient in form and substance". His lawyer, Victor Rodriguez, said: "We just want the truth to come out. It's that simple." The vice presidency is largely ceremonial and has no official role in the Cabinet unless given a portfolio by the president. However, some political commentators believe Marcos wants the vice presidency as a stepping stone to the top job. Robredo's relationship with President Rodrigo Duterte is far from close and he has frequently made jokes in public at her expense. She has been critical of some of his policies, including his deadly war on drugs. Last year Duterte instructed aides to tell Robredo to cease attending his Cabinet meetings, prompting her to resign as housing minister, while remaining vice president. Sponsor Rumours have swirled that Duterte favours Marcos and that while in China last year, he introduced him to officials as the Philippines' vice president. Robredo has made the same claim, but has not provided evidence to support it. Duterte has denied he is trying to oust her.